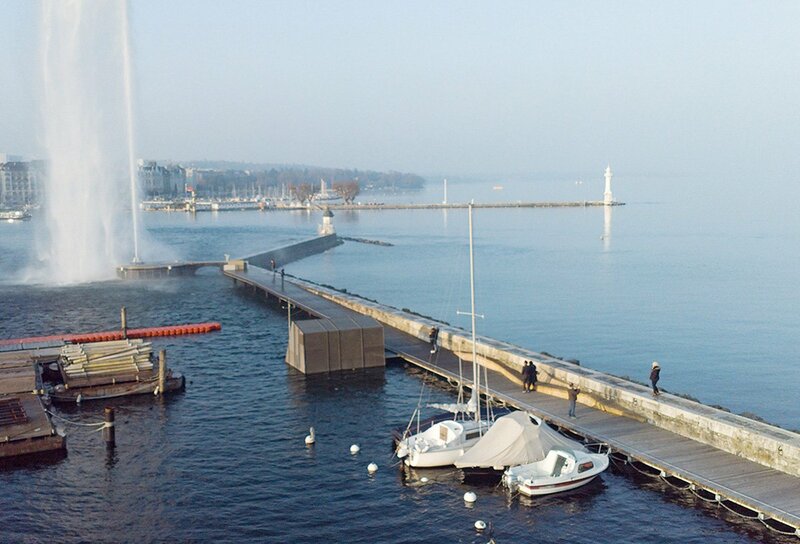 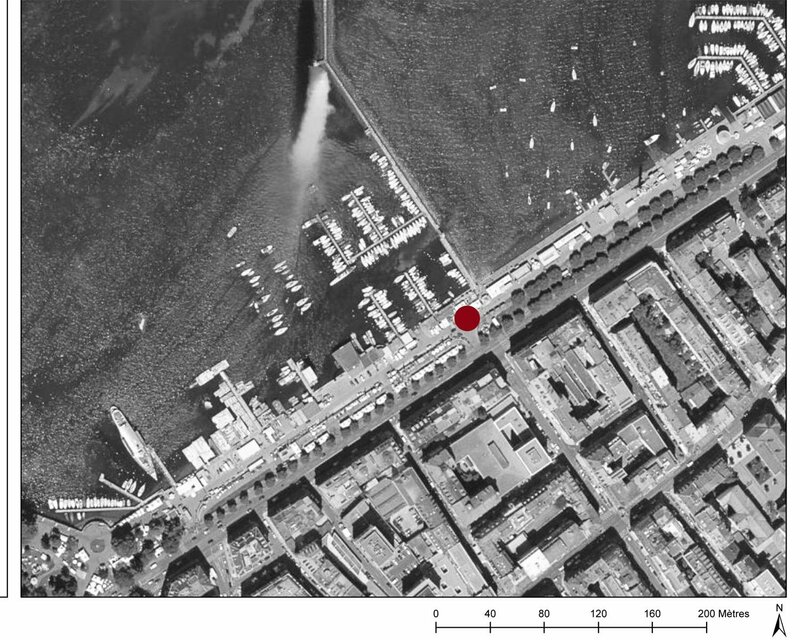 As part of a global review of the image of the Geneva waterfront, the footbridge leading to the Jet d'Eau – an iconic landmark of the international city – meets one very simple requirement: to double the existing embankment that defines the perimeter of the waterfront, to make it easier for tourists wishing to get close to the biggest fountain in the world, while offering Genevans, who come here for its favourable orientation and to bask in the sun, an attractive place sheltered from the north wind. 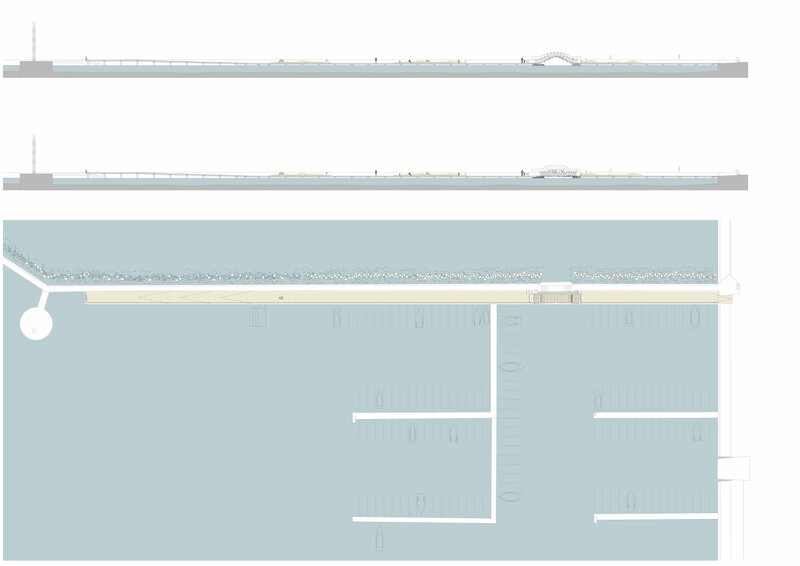 To achieve it, the project architects and engineers suggested an approach to materials based mainly on the use of wood with a small amount of steel. 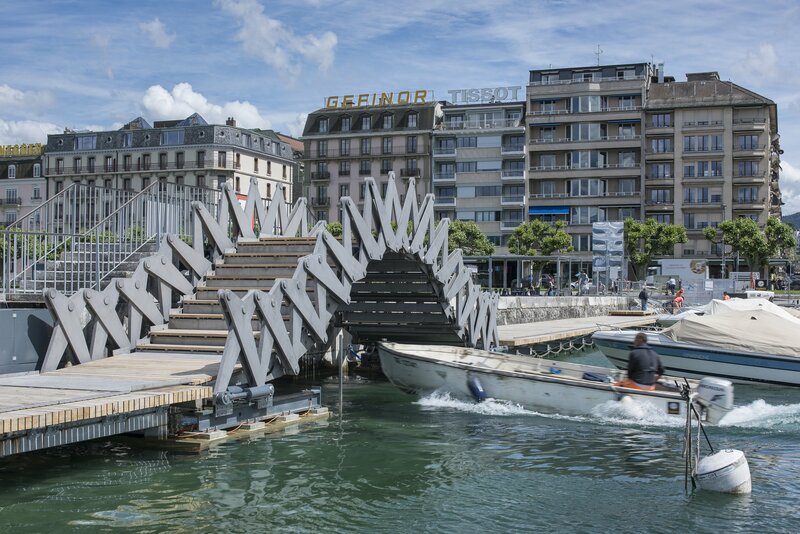 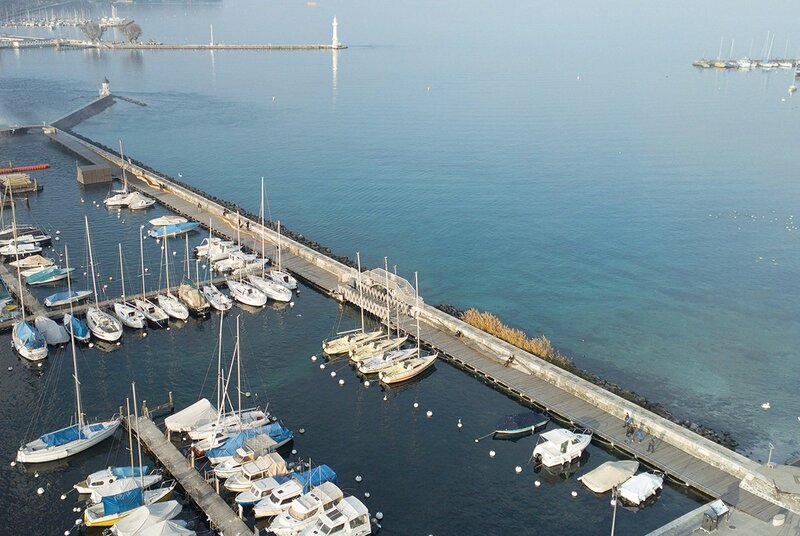 A third of the way along, a mobile structure in the form of an ingenious scissor system has been invented to allow both pedestrians to pass and for the movements of pleasure craft due to the proximity of the large harbour at Eaux-Vives, situated further to the north. 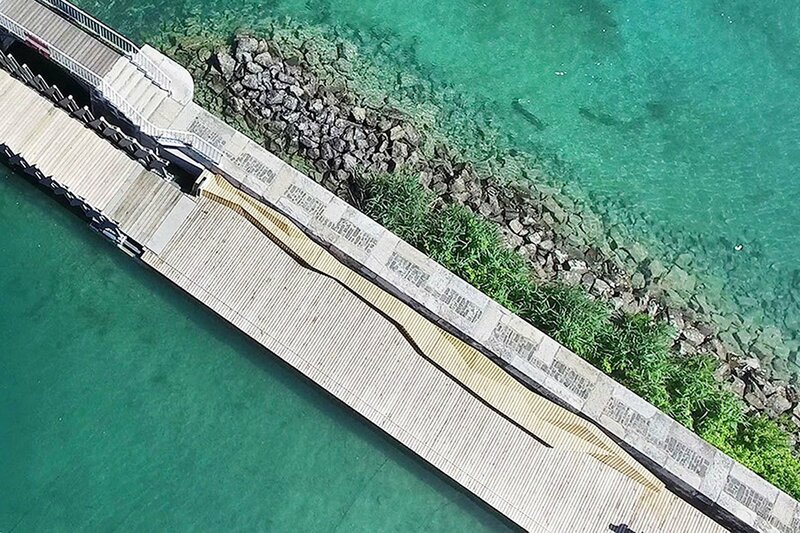 This new wooden wave creates an artificial leisure landscape and offers a route clearly separate from the large old stone wall. 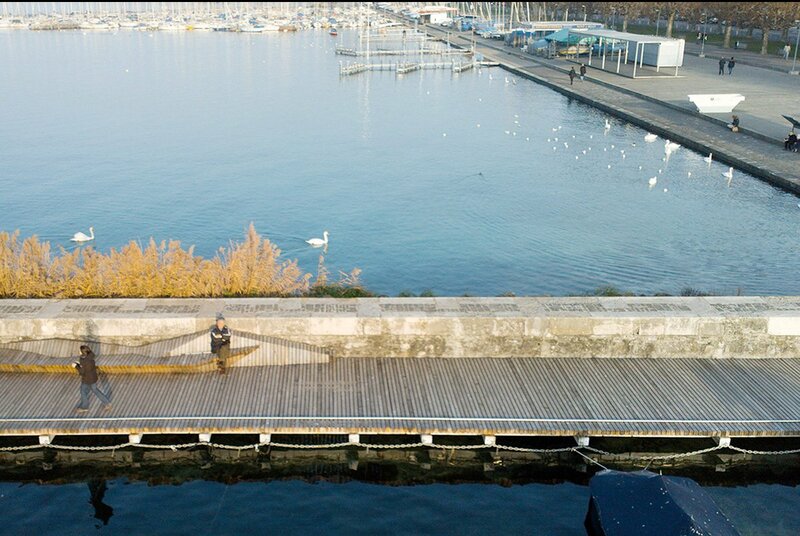 The promenade is punctuated by ”rest stations” formalised by a series of benches, that appear to have been generated by the ground itself: oak slats have been bent to form small sculptures of variable shapes designed to fit the body as the user rests, recharges, contemplates, meditates and so on.